Known as the “Land of Smiles”, located in the very heart of South-East Asia on the crossroads between Indochina, Myanmar and Malaysian Peninsula, squeezed between Pacific and Indian oceans, Thailand is one of the world’s most exciting places. Known as the “Land of Smiles”, located in the very heart of South-East Asia on the crossroads between Indochina, Myanmar and Malaysian Peninsula, squeezed between Pacific and Indian oceans, Thailand is one of the world’s most exciting places. The country's diverse natural landscapes, rich history and culture, legendary cuisine; and its people famous hospitality place Thailand among the world’s most popular destinations. Lee and Pawel are here to assist you with any questions you may have and to provide you with guidance in order to ensure that you enjoy an amazing experience. 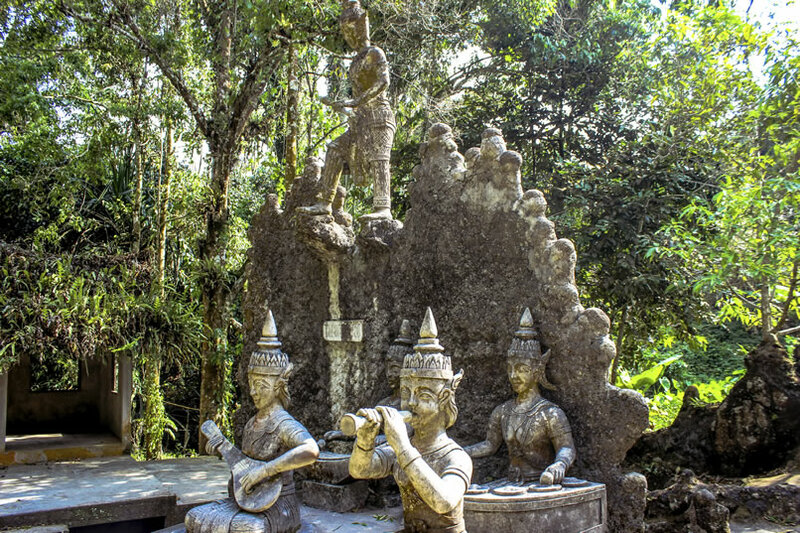 Rich variety of geological formations in the Thailand’s four geographical regions as well as the vast cultural diversity with many monuments bearing witness to an illustrious history. From the mountainous North filled with the architecture of former Lanna Kingdom; through the semi-arid Korat Plateau at North-East, with its fascinating blend of Thai, Lao, and Khmer cultural influences; through the fertile Central plains surrounding the Chao Phraya River, the country's most populated region, with the capital city of Bangkok, the Asian lively metropolis; to the Southern Region, part of ancient Kingdom of Sri Vijaya, stretching for hundreds of miles along the Malay Peninsula, between the two oceans, abundant with stunning beaches, emerald green mountains rising straight from the sea and numerous tropical islands. Thailand’s location on the ancient East-West trade crossroads resulted in the unique cuisine which has no parallels elsewhere in the world. A magnificent mix of foreign recipes, mainly Indian, Persian, Arab, Chinese, Portuguese, Dutch, Japanese and many others; Thai cuisine offers a real symphony of tastes, from hot spicy, through curry aromatic to sweet-and-sour, with the abundance of fruits, vegetables, fresh sea-food; and rich variety of spices. Expect to be entertained! Thailand as a destination boasts an array of activities which includes cultural, historical and natural sightseeing tours, golfing on the finest courses, yachting, diving and paragliding in the most beautiful tropical environment as well as many other leisure pursuits. Emerald VIP Services offers exploration of Thailand’s best wildlife destinations at numerous national parks like Kaeng Krachan, Pa La-U, Sam Roi Yot, Doi Inthanon and Khao Yai combined with fascinating cultural experiences at ancient capital cities and other plentiful historical sites. Thailand is the Golf paradise of Asia. From the southern beach resorts, to the mountainous North, Thailand features some of the world's most fabulous golf courses attracting the scores of visitors coming to play golf in the country. Emerald VIP Services offer a bespoke door-to-door “Meet & Greet” transfer service at Bangkok, Phuket, Chiang Mai and other international airports. We will have a concierge agent meet you at the gates on arrival and fast-track you through formalities to kerb-side where your luxury chauffeur service awaits to transfer you to your preferred destination. Emerald VIP Services works closely with leading Thai aircraft and helicopter charter companies and through our extensive private aviation expertise can ensure that we source the appropriate helicopter and private jets for your needs. Emerald VIP Services arrange private yacht charter, sailing holidays, crewed charter boats rentals. We can offer tailor-made cruise packages designed to meet the customer specific needs in some of South East Asia's most breathtaking sceneries, both in the Gulf of Siam (Pacific Ocean) and Andaman Sea (Indian Ocean). 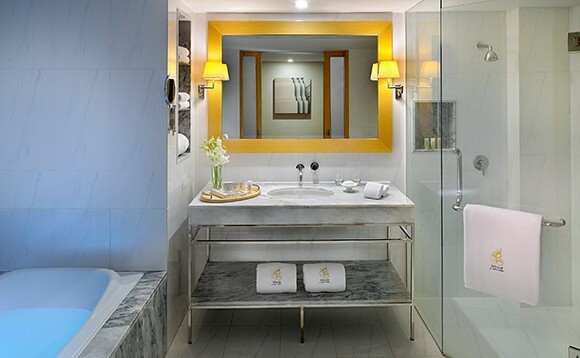 Overlooking the Chao Phraya River, this upscale, high-rise hotel is close to the Saphan Taksin Skytrain station, and the landmark Grand Palace. Chic, contemporary rooms with balconies and living rooms feature free Wi-Fi, flat-screen TVs with DVD players and kitchenettes. Upgraded rooms add dining areas and washer/dryers. Valet parking is free and so is a breakfast buffet, which is served in an opulent restaurant. There are 3 other fine-dining options, some with panoramic city views, and 3 cocktail bars. Amenities also include an outdoor pool and an exercise room. 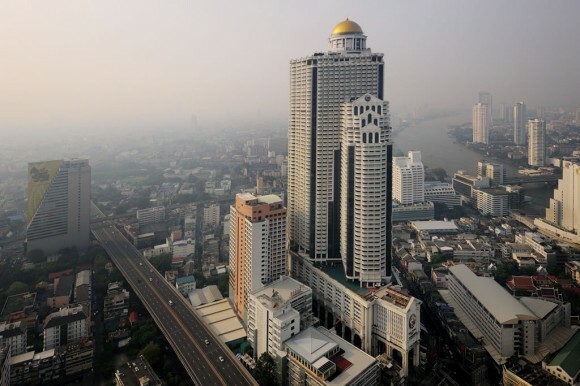 Overlooking the Chao Phraya river, this renowned, luxury hotel is a 3-minute walk from the nearest ferry stop. 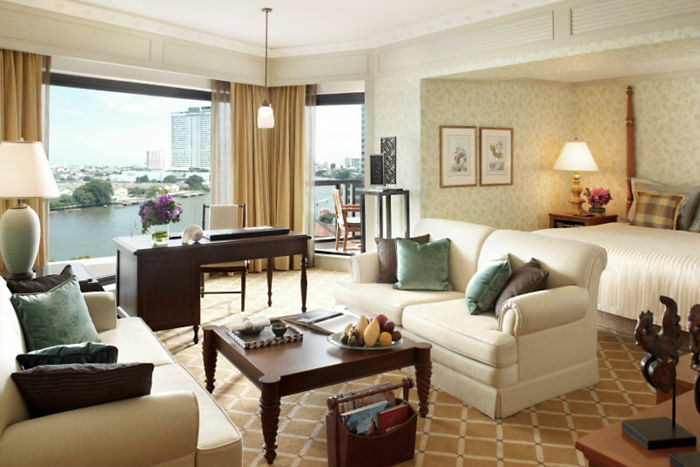 Featuring teak and Thai silk furnishings, the lavish rooms, most with river views, offer free Wi-Fi. Upgraded rooms add floor-to-ceiling windows, minibars and coffeemakers; some have balconies. 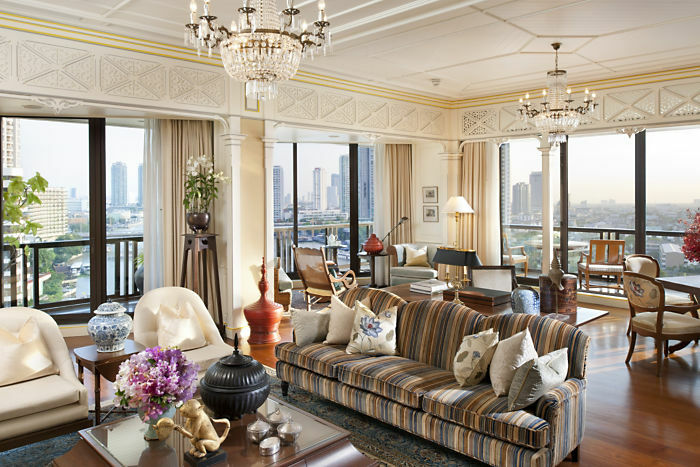 Suites include living rooms, and some feature distinct decor like antiques and Oriental carpets. Breakfast and parking is included. There are 9 upscale restaurants and bars. 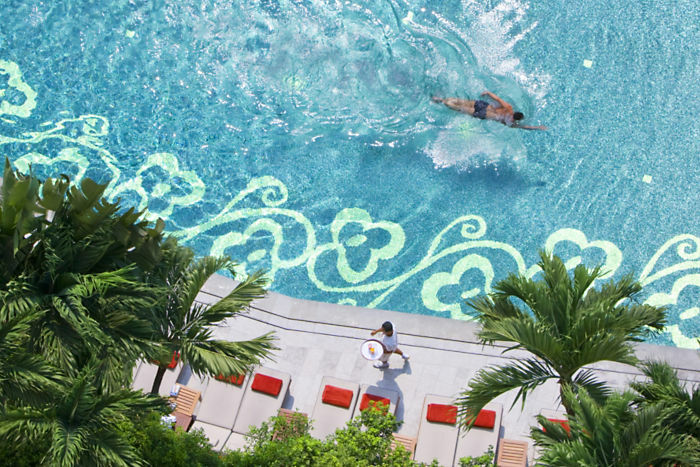 Other amenities include 2 outdoor pools, a gym and tennis courts, as well as a luxe spa offering yoga and massages.